Lucks Casino launched in 2015 through the renowned Progress Play and brought with it an impressive range of popular games and the banking method Boku. Of course we at Phone Bill Casino are big fans of pay by phone bill, but we also enjoy an eye catching site which offers amazing bonuses. So let’s start with the games; on Lucks Casino you can access table casino and slots such as the featured favourites Drive and Fantasini. There are a number of games available on mobile devices such as Android, iPhone and Tablets, making it easier to play on the go. Who doesn’t enjoy the thought of a jackpot win on your lunch break! Banking method pay by phone bill accepted. You’ll begin your gaming experience with a generous deposit bonus from Lucks Casino, simply for registering as a new plaer. This amazing bonus provides you with the opportunity to try out a number of games on your desktop and mobile. 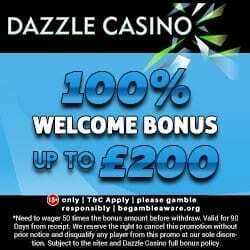 When you choose to make a 1st deposit then you’ll receive a 100% cash match bonus up to £200. This means that you’re pretty much doubling your money and for the minimum addition of £10, you’ll receive £20 in total to play with. For more details of the new player bonus, check out the full T&C’s. Lucks Casino also offer a regular cash back bonus, but this is limited to one specific day; a Thursday. 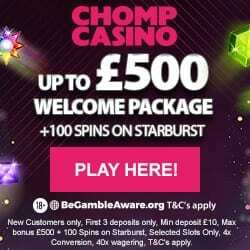 So if you make a minimum addition of £30 you’ll automatically receive a 10% cash back bonus, to enjoy extra gaming. How does a random cash bonus into your account sound? Well one lucky player who has deposited in the last 14 days will receive this amazing surprise, purely because Luck Casino love to give away bonuses. If you think Wednesday is the worst day of the week, then Lucks Casino is here to make it better with their game of the day. 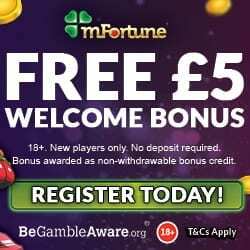 If you’ve deposited in the last 7 days then you’ll receive bonus spins for a game chosen by the site. What better way to try out another game, instead of always heading to the old faithful! If you prefer basic cash match bonuses, then Monday will soon become your favourite day of the week. Deposit between £20 and £50 and Lucks Casino will give you a 100% cash match bonus. For the regular players out there, Lucks Casino offers a VIP Room where you can earn incredible bonuses and rewards simply for playing. As you game you’ll earn points and the more points collected, the higher the level in the VIP Club. There are 5 levels which include bronze, silver, gold, platinum and diamond. Lucks Casino offer both live chat and an email enquiry form, should you have any issues or questions. Their representatives are available between 6am to 11pm and aim to respond within 48 hours. Most of us like to keep up on the latest news via social media, so head over to their Facebook, Twitter and Google+ pages for the latest news, games and promotions. When it comes to depositing you’ll be pleased to hear that Lucks Casino not only accept the usual Credit and Debit Cards, Skrill, Neteller and Paysafe Card; they also take slots payments via your phone bill. If you’ve never used pay by phone bill before then you’re in for a treat, because all you need to provide is your mobile number. Any credit you deposit is added to your phone bill and is paid off when the bill is due. So this will enhance your financial security and mean that you can continue playing knowing your payment details are safe. To register and claim the deposit bonus, simply head over to Lucks Casino and enjoy!